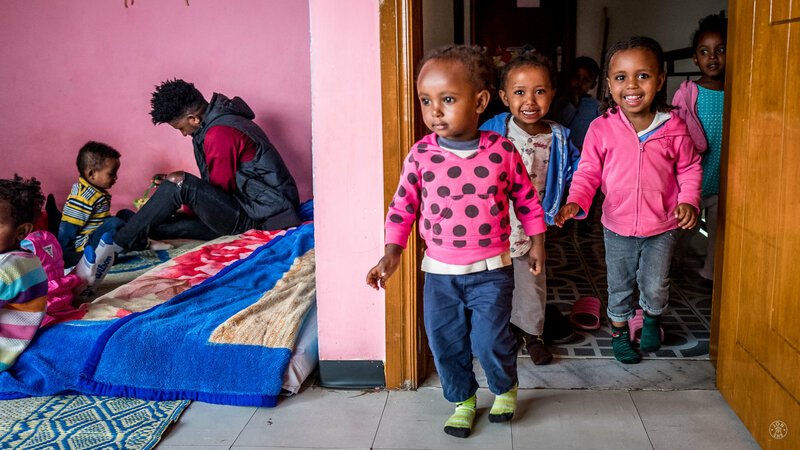 Our Family Care Center provides a safe, nurturing place for children during the day so that their mothers are able to look for work. 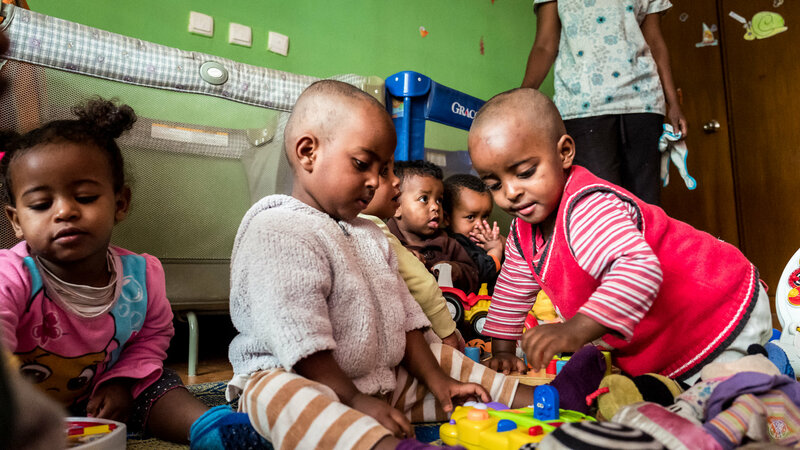 The center can care for 50 young children, from infant to age 3. They will receive proper nutrition, early childhood education and school supplies, as well as basic healthcare and hygiene education. Social support, counseling, education, vocational training, financial advice, parenting and life skills training will also be provided to their families. 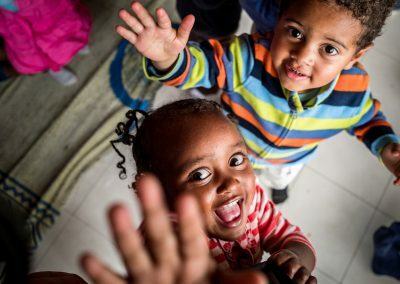 Our holistic approach to caring for children and their families will enable them to obtain the skills and opportunities necessary for a successful future. 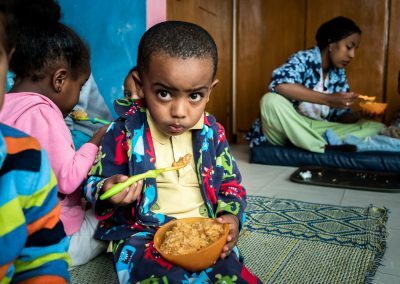 The families in this program may not otherwise be able to provide for their children and run the risk of having to find alternatives for the care of their children (i.e. orphanages, abandonment, other family members). 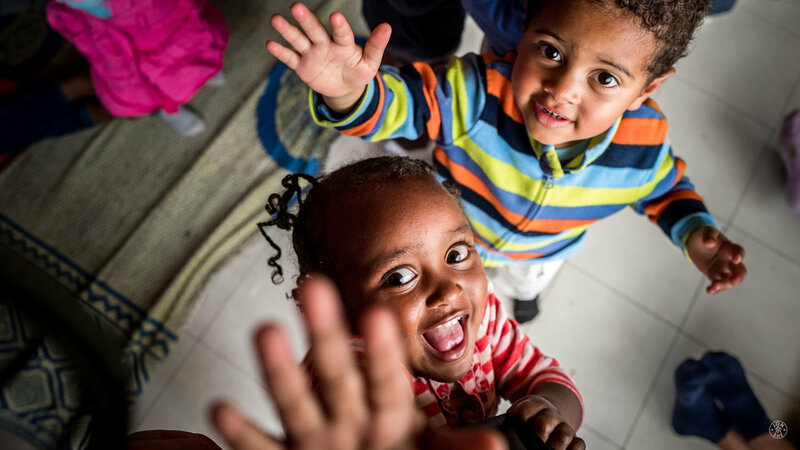 By providing childcare, mothers and fathers are able to generate income in order to provide for their children. The children can come to the daycare five days a week. 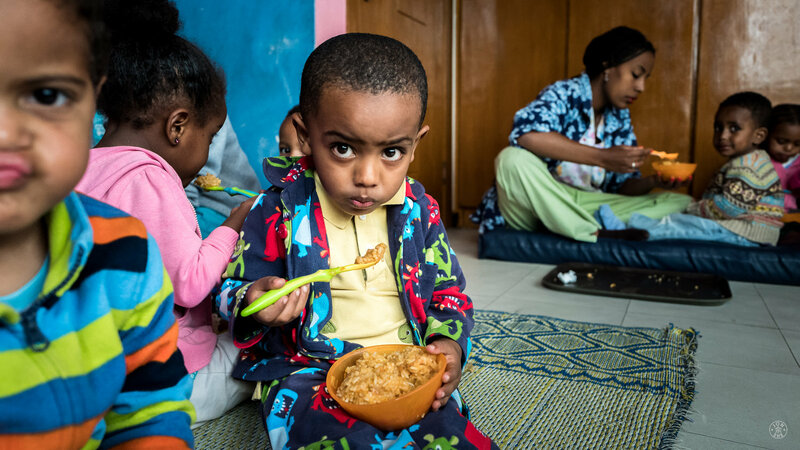 Strong Families Care Center is more than a day care, it’s an orphan prevention program. We want to keep families together. We are serving the poorest of the poor families that are in a critical stage in their lives. Every story will be different. 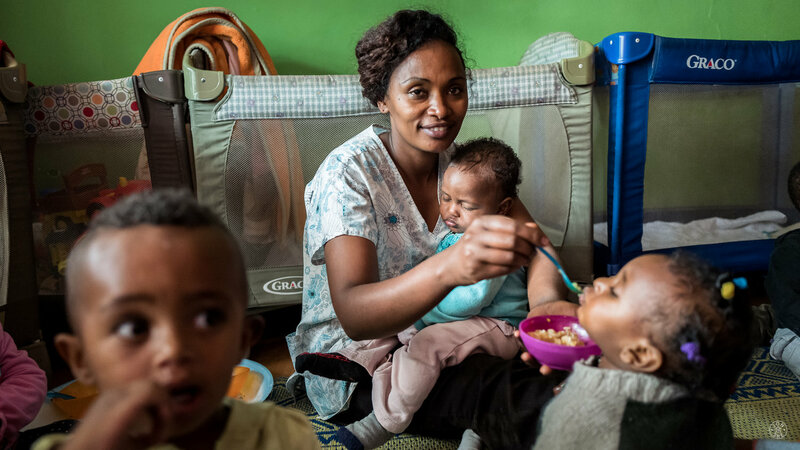 But often women come to this area of Addis with the hopes of a better life. Maybe they are sick and they are seeking medical treatment. Maybe they think moving to Addis will give them better prospects for employment. 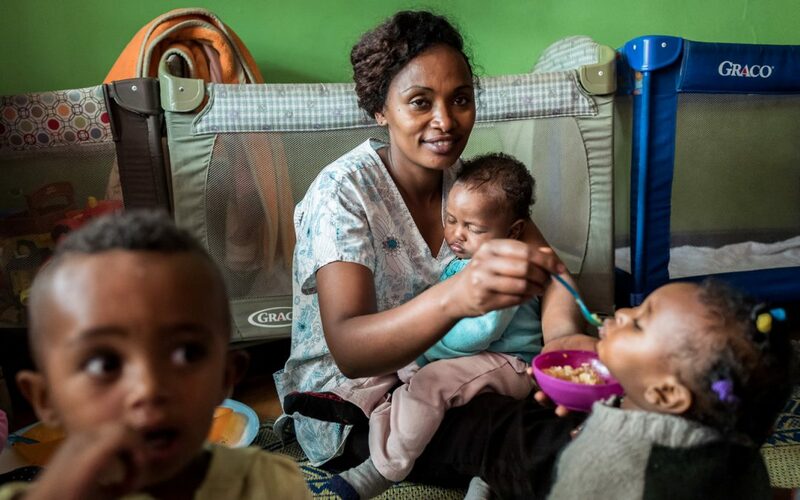 But often women come from the countryside to Addis in hopes of something better. Maybe they will come with their husband, or perhaps they have already lost or been abandoned by their husband. The point is, they are here, with a child, or several children, often time with little education or skills to support their families. So this is where we would are able to step in and help. The families coming into our program receive that safety guard that is so desperately needed. You see, if you are a woman with a baby here and something goes wrong, like they have a bad day of begging on the streets, the mother gets sick, the child gets sick, rent goes up…there is no “emergency fund” to pull from. There are no food pantries, shelters, etc readily available or even in existence, that the western world is accustom. They are put in that position of making choices that no mother should have to make. Do I take my child somewhere else (like an orphanage) or do I let him/her go without medical care, or food, or shelter? These are choices that no one should have to make. We are building relationships with these families. It takes time to earn their trust, to show them with our love for them, that God truly loves and cares for them. They drop their child(ren) off at our center in the morning and pick them back up in the late afternoon. Similar to a daycare center anywhere. 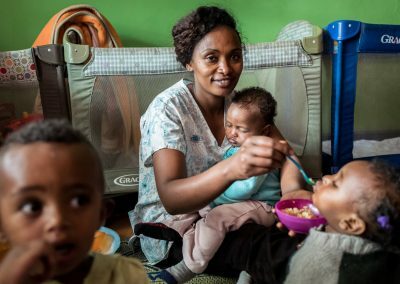 This frees the mother to go out and get a job, without having a baby on her back, or finding a safe place for their child to be while working. Most are able to find work on their own, since they are now available to work during the day. There are some that we will help develop skills, resources or opportunities for employment. 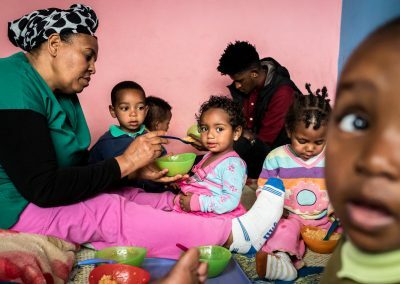 The children get breakfast, lunch and morning and afternoon snacks. The children are assessed for proper growth development and likely malnutrition issues common with the severe poverty they are being raised. The parents of the children are learning about nutrition, childcare and healthy choices for themselves and their children. Some food supplements will be given to each family on a monthly basis, as well as clothing and shoes to the child. Medical care is also provided as needed, for the child and/or the parent. While each child will be going home each night with their family, the way it should be, these families will know that they have somebody fighting in their corner. 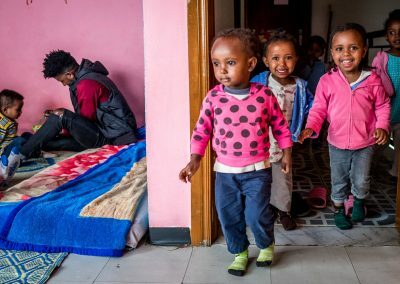 Even though we will be providing care during the day for babies up to 4 years old, we will also other older children in the family that may need help with school related fees. We have mostly single/widowed mothers, but also some grandmas, married couples and one father, raising children, as well. Again, every unique story will unfold, and we will be able to play a small, but vital part in their lives. It is so very important that they have choices. They know that somebody love and cares for them. We hope that you will be a part of this opportunity to make a difference. There are a couple of needs that we need to bring in from outside the local market for the best care possibile. That means, items here must be collected and/or purchased and brought over. Each child receives a new outfit 4x / year. Long sleeves and pants. Sizes 12 month- 4t, most needed is always 2t and 3t. The children get changed into clean clothes every day from our supply of gently used clothing, so please bring us your “like-new” pants, long sleeve shirts, sweaters, socks and sweatshirts! 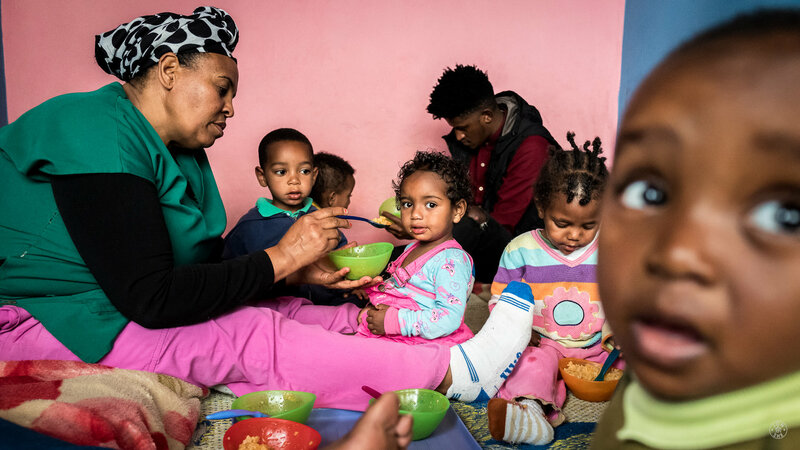 Many children do not get all the nutrients they needed before getting to us, so we ensure extra nutrition by giving a children’s multi-vitamin each day with their breakfast. A sturdy pair of shoes on those cobblestone roads and muddy paths make such a difference. After rainy season is over, each child is fitted with a new pair of shoes. Sizes range from 5-10. Rainy season is cold and wet each year, so we provide a nice winter jacket to each child to stay warm and dry. These are also requested to be new from the store. There are various other items that we need throughout the year, and enjoy celebrating holidays with our families as well. Please ask if there is a special holiday you could donate to, like buying chickens for a very special meal! Every bit adds up when providing for this many families! The request for new outfits, jackets, and shoes are for various reasons. Cost to Ship – it costs a lot of money to send these items (overage luggage fees are usually $200), so we want to make sure we are using our money wisely. Caring for the area – we do not need to add to the landfill of garbage with our “well intended gifts”. These items are worn out by the children and if they are not, they are passed along to a sibling or neighbor in need. Dignity – they deserve to have good quality clothes! Christ Church Mequon manages the running costs of the center and you can donate here to help with that. Are there supplies that I can donate? Absolutely! We distribute 4 new outfits to each child every year. We also give each child a winter jacket (for rainy season) as well as new shoes. We also bring in gently used clothing for the children to wear when they are at the center, as well as multi-vitamins. These are items that cannot be bought in country at this time due to the quality of the products available. 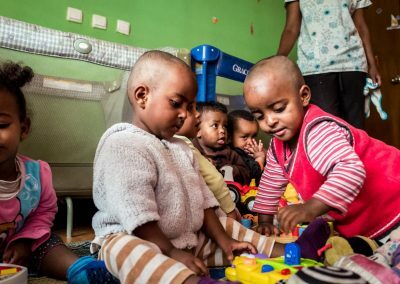 Can I visit the center if I am in Ethiopia with others? We encourage anybody to come (on their own or with a team) visit and tour our center. We would love for you to see what we are doing! We are always looking to expand our supporters and believe the best way to do this is having you see and talk with us in person.